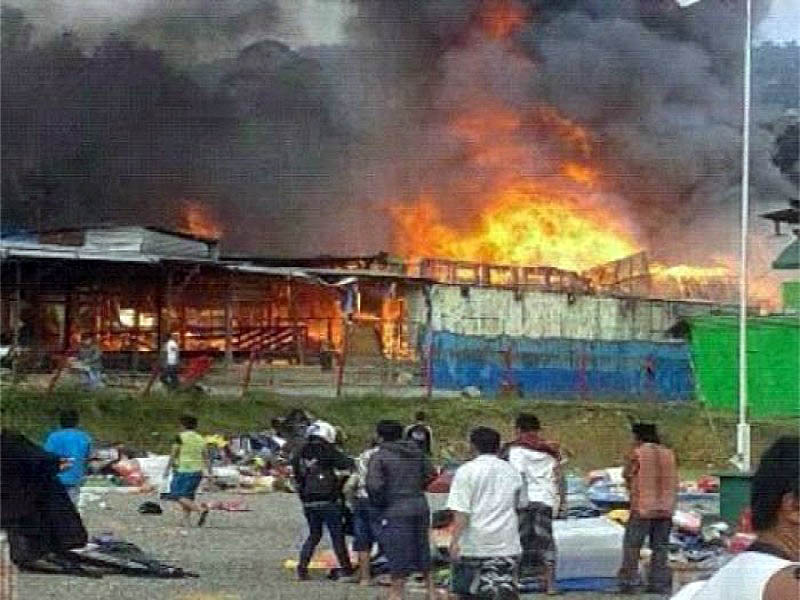 Stalls in flames in Karubuga, 17 July. A 15 year old boy, Endi Wanimbo, has been shot dead and 11 others injured when police fired on a religious congregation in Karubaga, Tolikara district, West Papua on 17 July. So far no police have been named or arrested for perpetrating these crimes. Following the incident ANTARA News reported that National police chief General Badrodin Haiti visited the crime scene in person on Sunday, where he admitted that the police had opened fire during the incident. “The victims were shot because they were pelting stones at Muslims who were just performing Eid prayers,” he said after visiting Karubaga. Haiti’s version of events is contradicted by a Tempo.co report of 18 July that said, ‘Natalius Pigai, a commissioner at the National Commission for Human Rights, said “It seems to have been a misunderstanding that Evangelical Church of Indonesia (GIDI) is being hostile to Islam. In fact, they were not planning to burn the mosque. People were upset because of the police shootings”. Reporters from Karubaga shed further doubt on Haiti’s statement. They told FWPC that the conflict began when a Muslim loudspeaker disrupted a seminar being held by GIDI. Having given prior notice of their meeting to the police via a written circular, members of GIDI were upset that their meeting was disrupted and went to the Mosque to discuss the matter. GIDI members claim that police failure to notify the mosque of their request led to the conflict. According to eye witnesses, soon after police arrived they started blindly firing into the crowd. The shootings sparked rioting in which local stalls were burnt and fire quickly spread damaging Baitul Mutaqin mosque. It appears that police actions stirred up religious tensions and Police Chief Haiti is now seeking to blame Papuans. Tribal and religious leaders from both sides were quick to make statements in attempts to calm the situation. At least 153 victims of the conflict, were evacuated to tents at the Karubaga Military Headquarter on Saturday. 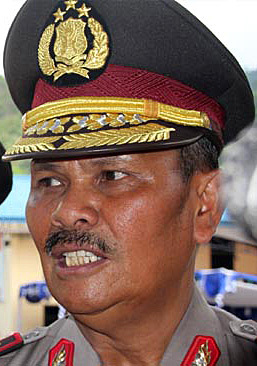 As the officer responsible for policing on the day, The Papua Regional Police chief, Inspector General Yotje Mende has serious questions to answer concerning why police fired live bullets against civilians apparently sparking the incident. Haiti has failed to explain why he distorted the facts. Neither police chiefs have announced how they intend to bring those officers responsible to justice. Ultimately they are responsible for the behaviour of the police in the region and yet have both repeatedly failed in their duty to protect Papuan civilians from police brutality. If they are not up to this job then is it not time for them to step aside?